FIXYOURTHINKING.COM / Need a brain? Borrow mine! 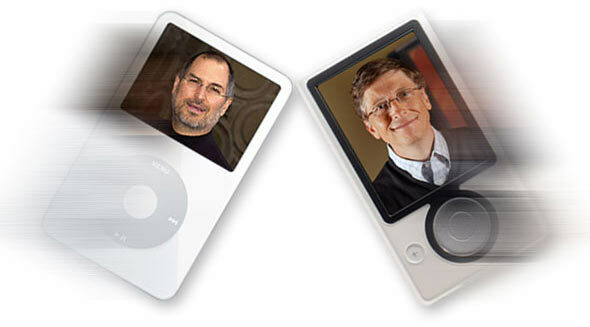 : A Digg Fraud Campaign For The Zune? Digg Fraud Campaign Pushing Zune News? This wouldn't be the first time I have suspected fraud behind one of the "it sites of the moment" Digg. I believe there is a lot of this going on at Digg. I also have a big feeling that Digg developers and webmasters are behind part of it as well. Daniel Eran, Roughly Drafted writer and investigator in the piece linked has slowly but surely become my Daring Fireball/John Gruber replacement. It is my personal opinion that Microsoft is playing very dirty with the marketing of the Zune - using several media outlets as pawns for "untruthful news" and statistics. I'm also a bit disappointed that iPod accessory makers jumped so quickly onto the zune bandwagon without showing any loyalty to Apple whatsoever. I don't blame them for trying to expand their market and profits, but the Zune in my opinion will be such a failure that any product design and even graphic design for box art and packaging will be break even at best.